Ministers lined up to criticise Theresa May’s Brexit plans at a fraught Cabinet meeting on Tuesday, with one likening her proposals to Dante’s first circle of hell. At issue is the controversial backstop, the EU’s insurance policy to avoid a hard border in Ireland, which many Tory MPs are ready to vote against and which could ultimately push the UK towards a no-deal exit. 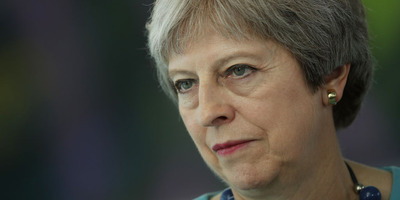 The prime minister is preparing for another heated meeting with angry backbench MPs on Wednesday afternoon, with her critics increasingly confident they approaching the required number of votes to trigger a no-confidence vote in her leadership. LONDON – Theresa May’s Cabinet descended into open conflict on Tuesday as she prepared for another fraught showdown with angry backbench MPs on Wednesday. In a heated meeting with senior colleagues, the prime minister was challenged by seven senior pro-Brexit ministers over the prospect of Britain being tied to European rules for an unspecified amount of time after Brexit day, which she sees as a means of breaking the impasse with EU negotiators, according to a Bloomberg report. Cabinet’s big hitters – including Foreign Secretary Jeremy Hunt, Home Secretary Sajid Javid, Environment Secretary Michael Gove, and Attorney General Geoffrey Cox – were among those who reportedly expressed concerns. On the other side of the argument were ministers like David Lidington, May’s de facto deputy prime minister, who warned that fighting the EU on the thorny issue of the backstop would make chaotic no-deal Brexit more likely. At issue is the EU’s proposed backstop policy for avoiding a hard border on the island of Ireland. May repeated her pledge in a speech on Monday that she would not accept the EU’s preferred backstop measure to effectively keep Northern Ireland in the European single market and customs union after Brexit, as it would create new checks between Northern Ireland and the rest of UK, and almost certainly be voted down by Tory and DUP MPs. The prime minister’s counterproposal is to keep the whole of the UK in a de facto customs union with the EU. However, she has already reneged on a key promise she previously made to Brexiteers, telling EU leaders that whatever backstop is eventually agreed will not come with a fixed end date. Conservative MPs fear that would lead to Britain being trapped in the EU’s customs territory for years to come, unable to sign new free trade deals. 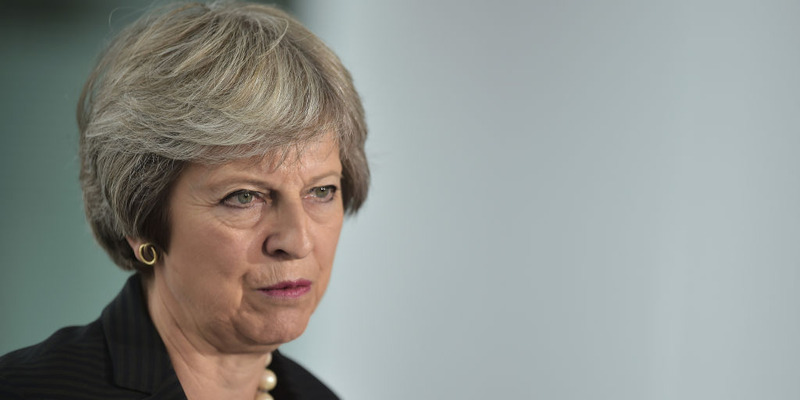 Her alternative proposal, to extend the transition period during which the UK would essentially remain in the EU, has been met with even more fury. At Tuesday’s meeting, Geoffrey Cox reportedly told May that an indefinite backstop would be like being stuck in Dante’s first circle of hell, while Jeremy Hunt also insisted that the UK should have the right to withdraw unilaterally from the mechanism. Tory MPs are likely to be further enraged by a report leaked to the Times on Wednesday which shows that the prime minister’s proposal to extend the transition could turn in to a “long-running” multi-year transition period, despite her promise it would only last a few months. May’s meeting with the 1922 committee of backbench MPs on Wednesday evening is understood to have been made at her own request, indicating the whips believe they can generate some show of loyalty there. But it is guaranteed to be explosive, given the unrest at her leadership and belief from her critics that they are rapidly approaching the 48 votes needed to trigger a no-confidence vote. Stand Up For Brexit – the Conservative party faction opposed to May’s handling of Brexit and her Chequers proposals – now has the support over 50 Tory MPs. While there is nothing new about Tory colleagues challenging May’s Brexit proposals, it is clear the prime minister is in her most dangerous position as leader to date, with her domestic challenge at times appearing insurmountable. MPs are increasingly suspicious that her plan to keep the UK in a customs union without a fixed end date amounts to an attempt to pursue a soft Brexit through the back door and appear ready to vote against any such plan in large numbers.